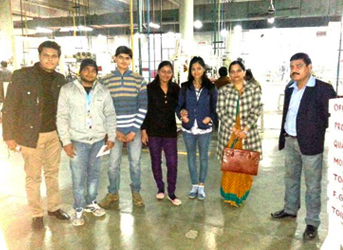 A group of 9 students from Jaipuria, Jaipur visited Autolite (India) Limited on 27th December 2013. The visit also served as a platform from which students could learn how their theoretical learning could be put into practice. The students looked forward to the day and it did not disappoint them at any level. Autolite Group, known for its progressive and dynamic approach to business, proved to be the perfect setting for students to learn more about industry operations which are its backbone. The company is known for producing innovative products and offering them to consumers at reasonable prices. From automotive head lamps to halogen lamps, fog lamps to work and LED lamps, the company produces a wide range of products that have become a well-known name in the market. At the manufacturing unit visited on the day, students were taken through all the processes involved in the light manufacturing unit. It was an exciting experience for the inquisitive visitors took an avid interest in the production set-up. They were guided by their mentor Dr. Nidhi Vashishth and also received valuable inputs from the managers at the company who were eager to help nurture the young minds. 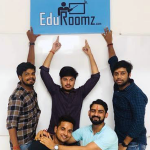 It was a complete, all-round experience that Nazmeen Khan was looking for: “It was great to see all the theoretical knowledge applied to practical life. I was also inspired by the conversations we had with the managers who taught us a few new things. I will remember what we learned from this day for a long time to come,” she said. Students on the industrial visit also had an opportunity to interact with the Plant in-Charge and Human Resources heads for the units. Through these interactions, students learned more about the various processes followed in the plants, besides manufacturing. They became aware of the importance of supply chain management and safety procedures. 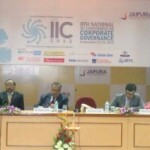 The role of HR in the organization was also discussed. Prerna Jhawar, a student from the group, had an interesting observation to make about the learning during the day. “The company deals with foreign markets and assembles its raw materials through foreign trade. It was good to get an insight into how to be sustainable in the foreign market while knowing more about their marketing process and various other channels involved,” he noted. Whilst staff at Autolite was eager to talk about the internal functioning of their organization, they were also keen to talk about the future of management as well. In fact, the group had a reality check of sorts when they were told about the expectations organizations have from management students. Students agreed the day at the lamp manufacturing unit was educational, engaging and inspirational. And it related well to their institute’s belief of helping them learn through practical applications of theoretical concepts. No wonder the students came back from their outing feeling enlightened.